Productivity plummets when employees are required to spend hours manually completing their own expense reports. 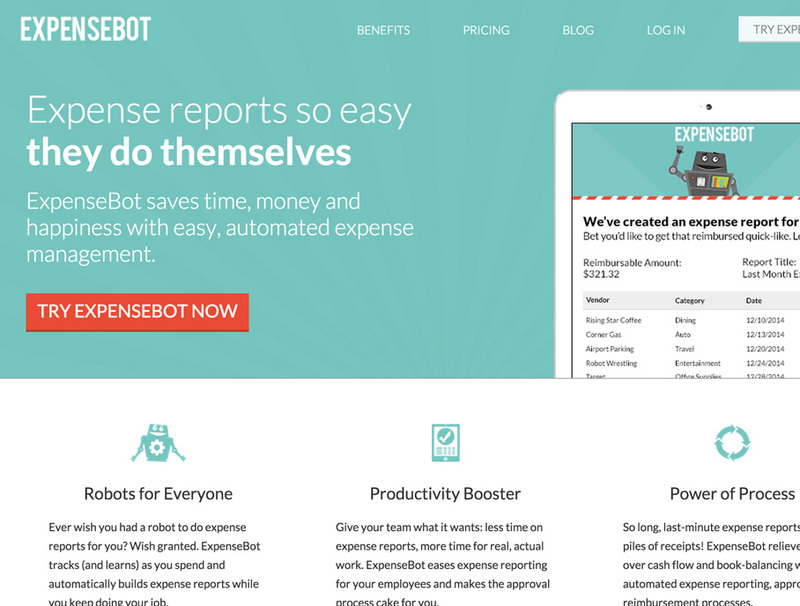 ExpenseBot is a web-based application that expedites the process with automated tools that streamline both expense reporting and approvals workflows. Before you can begin automating the process of submitting and approving expense reports, you need to code basics like categories, mileage rates, and policies. Create SOX-compliant processes and invite your staff to start using the ExpenseBot app. Your employees will be able to review new company spending policies on their own, without emailing the finance department for help. To enter a new expense for reimbursement, employees just need to upload receipts from a computer or mobile device. ExpenseBot offers automatic spending policy enforcement to help managers ensure compliance, which means that in the event that an employee tries expensing an item that exceeds a limitation, a popup will appear notifying the employee about the policy. All expense report submissions are added to the company’s ExpenseBot account and listed on a dashboard for managers to approve or reject. Managers also have the option to process expense reports straight from their email accounts without logging in to ExpenseBot. The longer a business uses ExpenseBot, the more efficient the application becomes. ExpenseBot “learns” employees’ spending habits and utilizes “SpenceDex Scores” to predict which transactions will be expensable based on history and company policies. Startup Entrepreneurs is a free club to join, except its workspace service. Anyone interested to explore and get our free services, can register and join our club. The workspace is paid service, where we offer excellent working environment and associated workspace services at minimal price.